My family and I live in St George which is considered Southern Utah for most people in Utah. St George is 120 miles northeast of Las Vegas and about 300 miles south of Salt Lake City. I believe St. George is the greatest city in the world. For me there is no other place I’d rather live, raise a family and eventually enjoy retirement. However, I’ve made a habit of asking clients outside of Southern Utah what they like about their city and I’ve learned there are some incredible places all over Nevada, Utah and Colorado. This Article is part of a series I write to highlight some of the extraordinary places in various parts of the Rocky Mountains from Denver to Reno and the Wasatch Front to Las Vegas. As I sat down to write today, Heber City was the first city to come to mind. 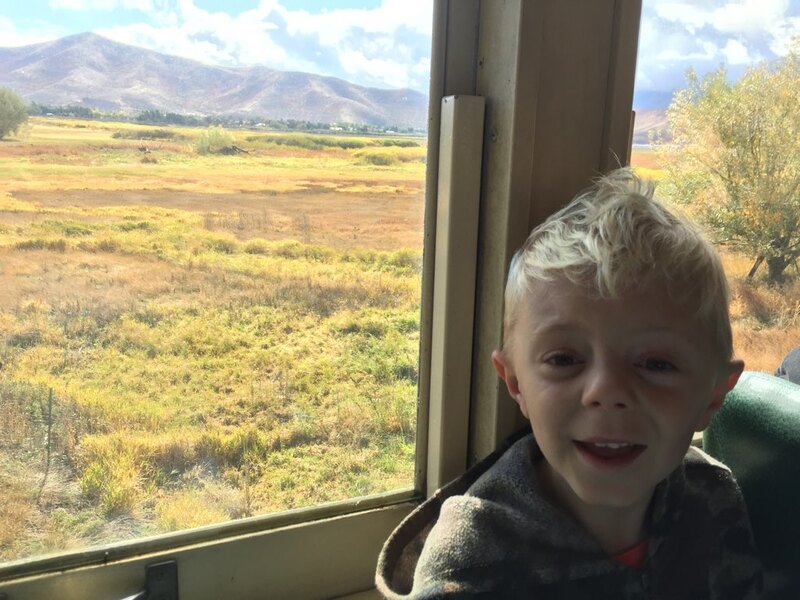 I thought of Heber because a few months ago I took a train trip with my son Devon. 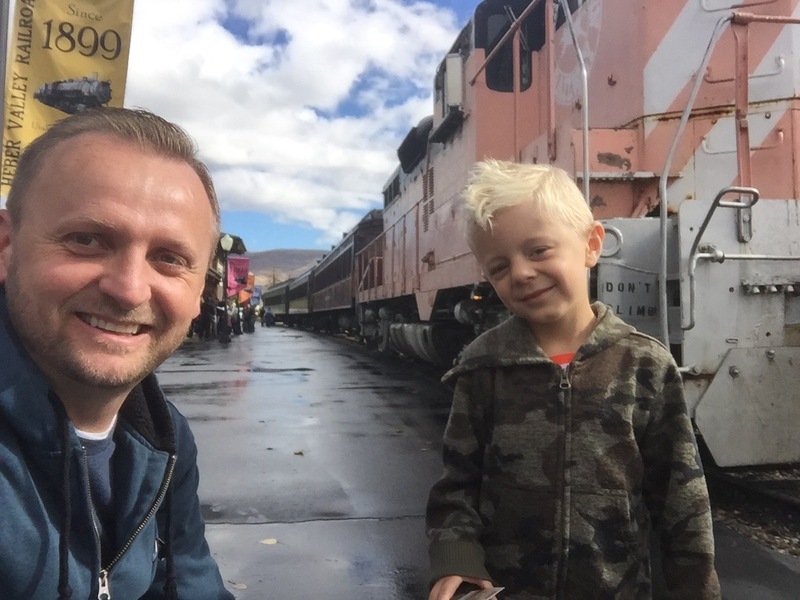 Devon loves Trains so for his fifth birthday we traveled the state looking for Trains to ride. Our search naturally brought us to Wasatch County and the Heber Valley. What’s great about Heber City? 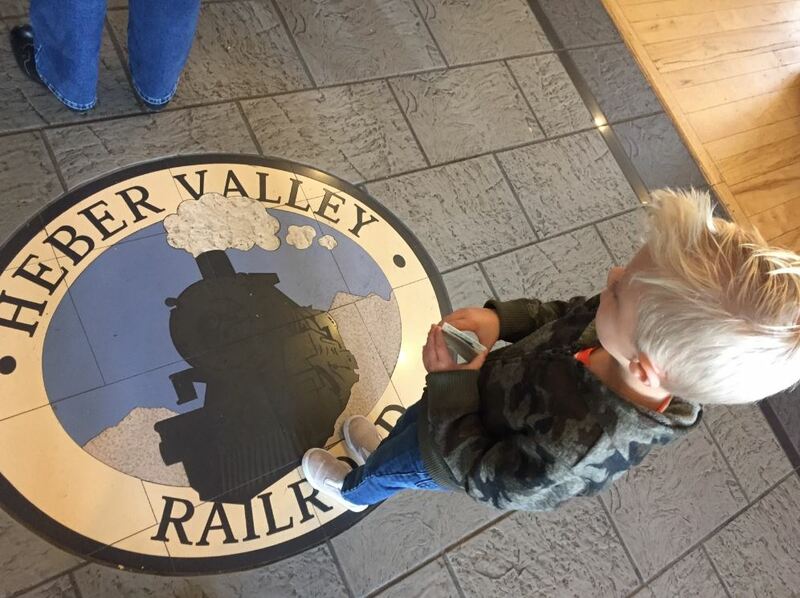 Heber Valley Railroad – (or the Heber Creeper as it’s also known) is a small rail line that runs from Heber City through Provo Canyon. The railroad opened in 1899 to transport cattle, sheep and passengers from Heber City to Provo. Today however, the line is run exclusively for tourist excursions. 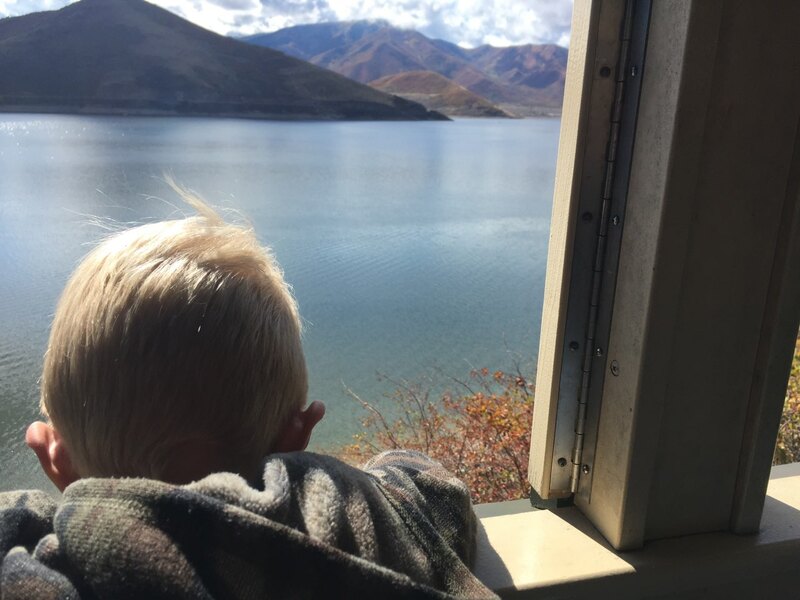 Devon and I loved every minute of our ride as we got to see the fall colors of the Wasatch Mountains over Jordanelle Reservoir. 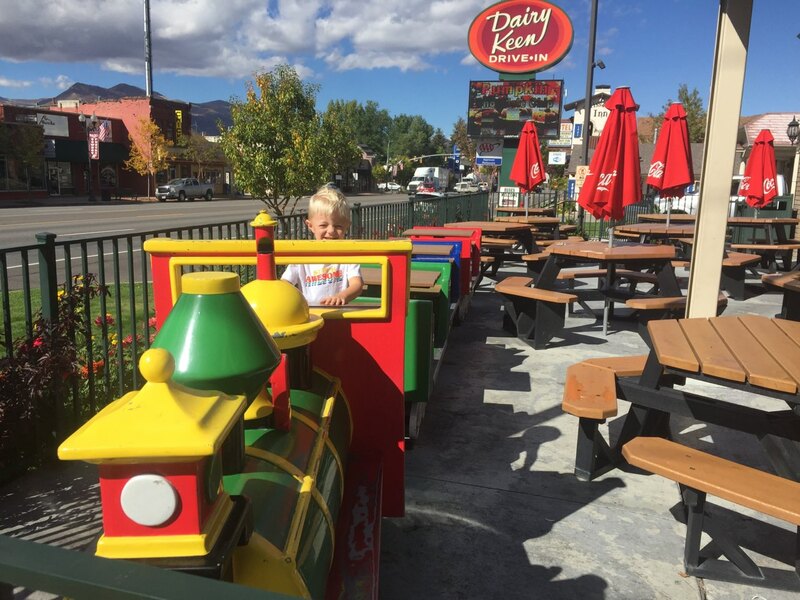 Dairy Keen – After our train ride we went to a popular local restaurant that embraces the Train theme and had a delicious Burger and Shake. Nearby – The city itself still feels small and quaint with a population under 20,000. But the city sits in a loop which connects Heber City with Park City, Salt Lake City and Provo. With these connections residents in Heber get the small town feel with the big city entertainment. Everything from World Class Ski Resorts, professional sports, and high-class entertainment are all less than an hour away. Views – My favorite part about Heber Valley are the views. I live in Southern Utah and I love red rock and warm weather but I can’t deny the majestic beauty of the Wasatch mountains from the Heber Valley. The steep snow-capped ridges always remind me of the Swiss Alps. Seasons – To enhance the natural geography are the natural colors of each season. Spring brings an abundance of wild flowers everywhere you look. Summer covers the mountains in a deep green. Fall changes everything to brilliant reds, oranges, and yellows and winter is a beautiful white as the area gets plenty of snow. I hope you’ve liked these highlights of Heber City Utah. If you’re ok with snowy winters this could be a city you’d love to live in. These are some of the other pictures from our trip. Call me if you’re relocating and need a trusted Mortgage Lender to answer your Home Loan questions. I specialize in HECM Reverse Mortgages but I have many years of experience with all types of Home Financing options.